Whether you're cruising or racing on the Norfolk Broads, gunkholing on the East Coast, or planning a bluewater adventure, we can help to connect you to the right marine insurer! Please mention Topsail Marine Yacht Brokers when contacting any of the marine insurance providers below - Thank You! 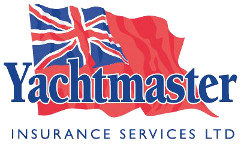 Topsail Marine Yacht Brokers is an Introducer Appointed Representative of Yachtmaster Insurance Services Ltd and Alan Boswell Insurance Brokers Ltd both of which are authorised and regulated by the Financial Conduct Authority. Topsail Marine Yacht Brokers is not responsible for the content of external sites.